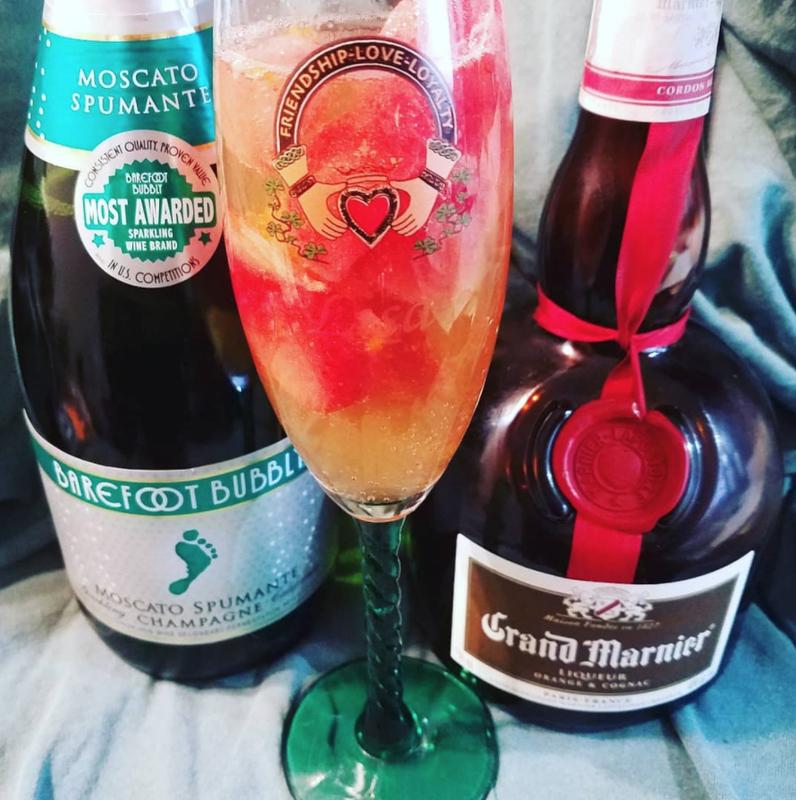 I’m enjoying a glass of bubbly sangria with Grand Marnier and tropical fruit to celebrate. I have another happy client for my mediation articles! I love writing about mindfulness. What are you grateful for today? What are you drinking?